Appearance: Graziano's homemade apple pie has a crispy/flakey crust made with Tenderflake lard and to make it taste SOOOOO good the apple filling is made with jonagold, gala, akane, and macintosh apples. Yum! Graziano also sell sugar free pies! 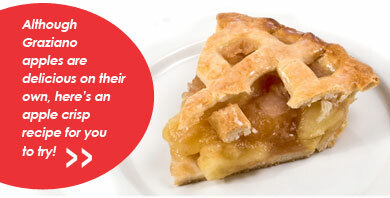 You can pick up your apple pie directly from the Graziano orchard or from the Kelowna Farmers Market. 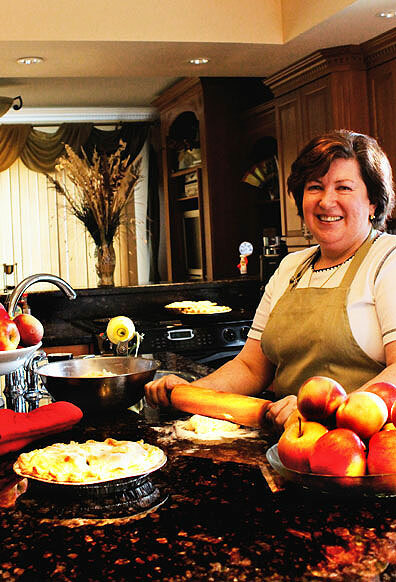 Care and Handling: Graziano's homemade apple pies are available in two sizes: 10" regular size pies sold frozen or cooked and 6" pies sold cooked. Cooking instructions are included.